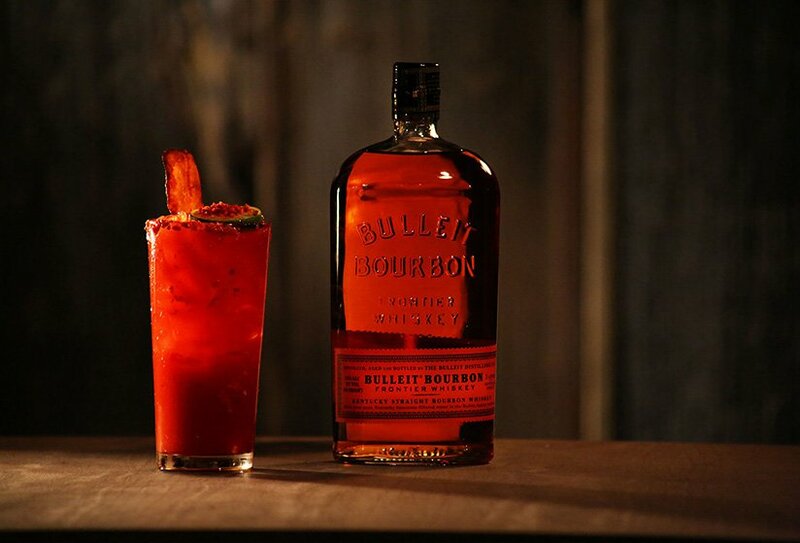 Learn how to make a Bloody Mary with Bulleit Bourbon and bacon. Try this spin on the classic brunch cocktail recipe with bourbon. 1 - Pour BULLEIT BOURBON, bloody mary mix, and worcestershire sauce into an ice-filled highball glass. 2 - Mix with a bar spoon. 3 - Garnish with a bacon strip and bacon bits.